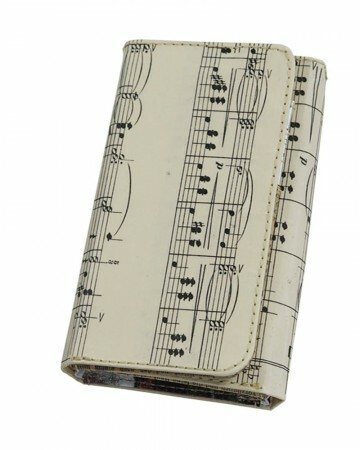 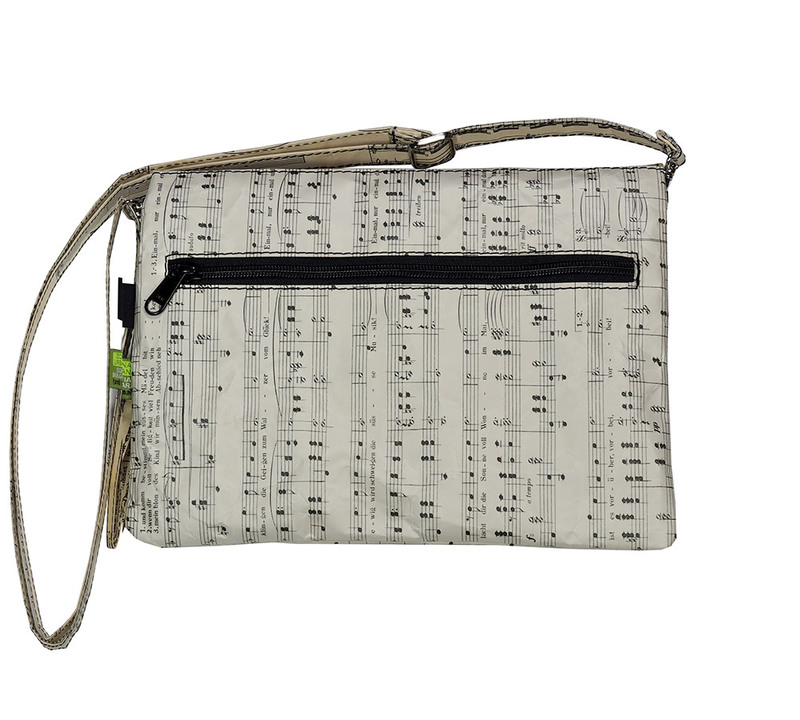 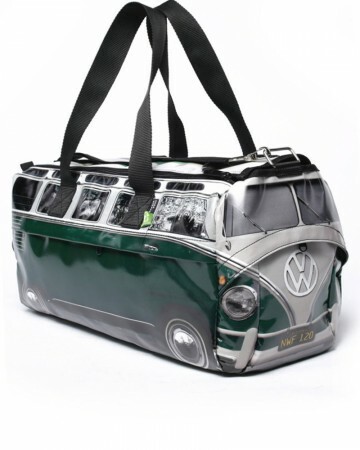 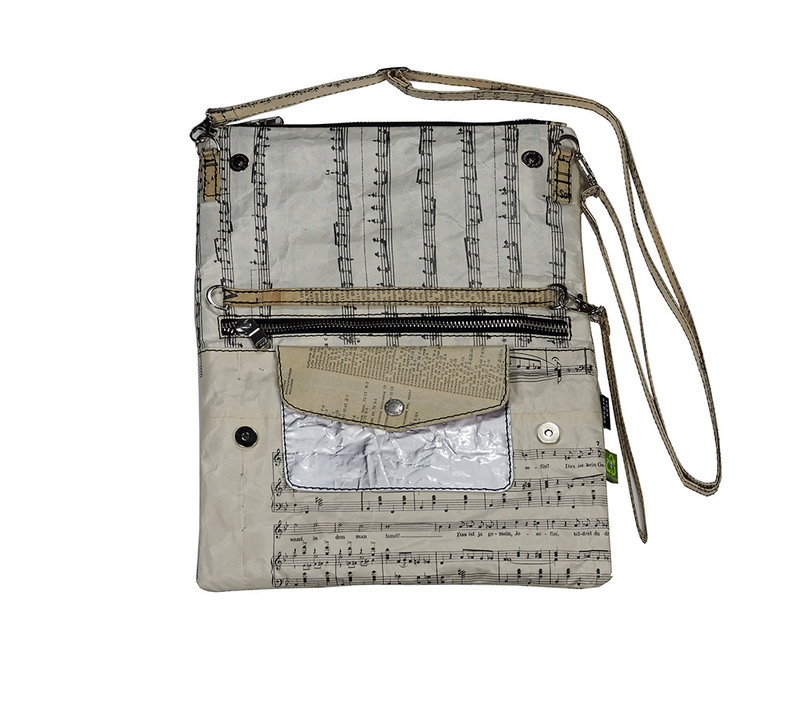 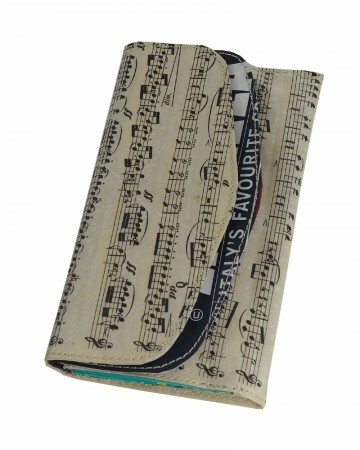 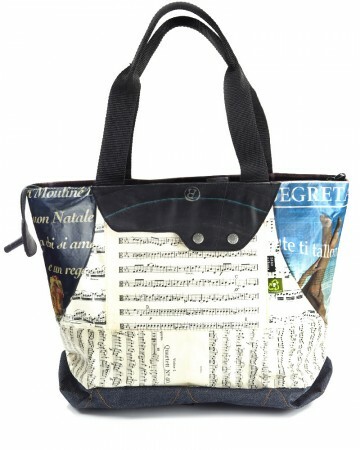 Music scores bag made with 95% recycled materials. 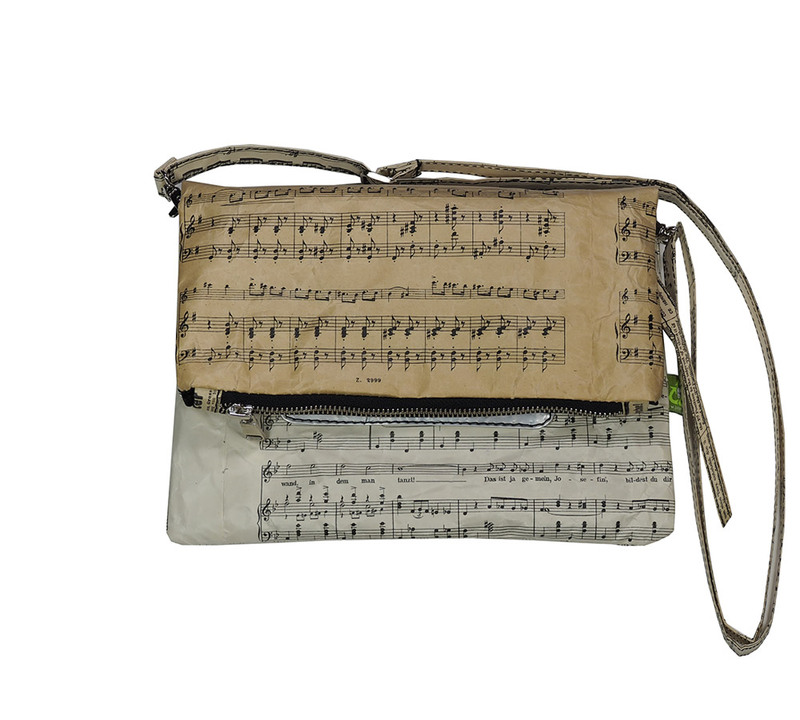 outer: very old austrian music scores 1926. 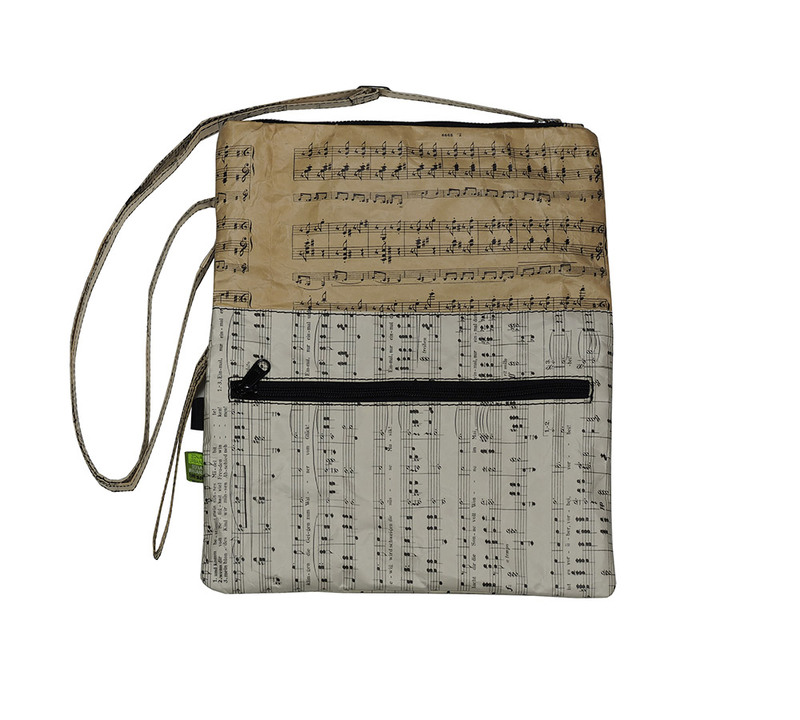 Tags: BillBoard, coffee package, music scores, Newspaper, Tea Bag, tetrapack.